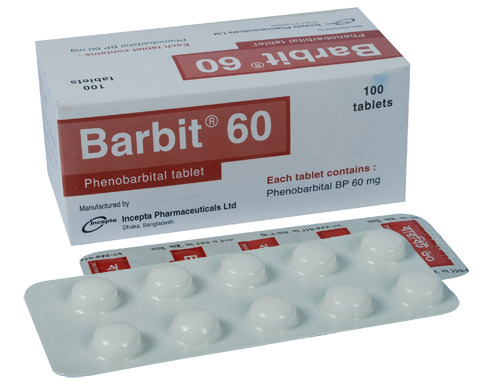 Barbit 30: Each tablet contains Phenobarbital BP 30 mg.
Barbit 60: Each tablet contains Phenobarbital BP 60 mg.
Barbit Elixir: Each 100 ml or 50 ml bottle contains Phenobarbital BP 20 mg/5ml. 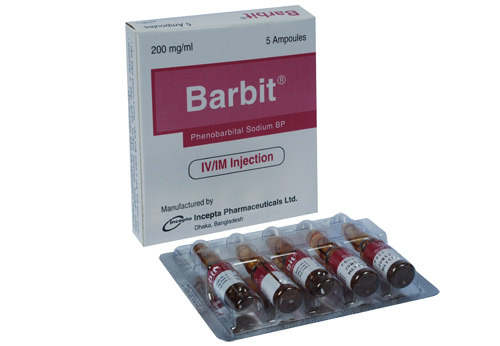 Barbit Injection: Each 1 ml ampoule contains Phenobarbital Sodium BP 200 mg.
Barbit is a preparation of Phenobarbital which is a barbiturate, nonselective, central nervous system depressant which is primarily used as a sedative hypnotic and also as an anticonvulsant in subhypnotic doses. Long-term anticonvulsants for the treatment of generalized tonic-clonic and cortical local seizures. And, in the emergency control of certain acute convulsive episodes, ( those associated with status epilepticus, eclampsia meningitis, tetanus, and toxic reactions to Strychnine or local anesthetics). Preoperative: 1 mg to 3 mg/kg. 1. Daytime sedative: 30 mg to 120 mg daily in 2 to 3 divided doses. 2. Bedtime hypnotic: 100 mg to 320 mg.
3. Anticonvulsant: 50 mg to 100 mg 2 to 3 times daily. The most common adverse reaction is somnolence. Other less frequent adverse reactions are agitation, confusion, hyperkinesia, ataxia, CNS depression, nightmares, nervousness, psychiatric disturbance, hallucinations, insomnia, anxiety, dizziness, thinking abnormality, apnea, bradycardia, hypotension, nausea, vomiting and constipation. Tolerance and psychological and physical dependence may occur with continuing use. 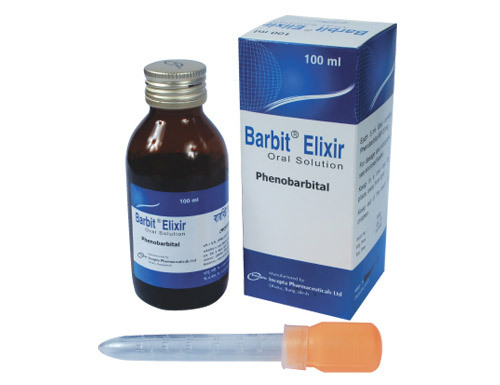 Phenobarbital should be administered with caution to patients who are mentally depressed, have suicidal tendencies, or a history of drug abuse. In patients with hepatic damage, Phenobarbital should be administered with caution and initially reduced doses. 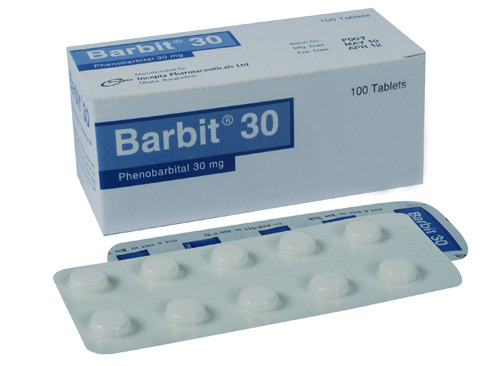 Pregnancy Category D. Phenobarbital can cause fetal damage when administered to a pregnant woman. If this drug is used during pregnancy, or if the patient becomes pregnant while taking this drug, the patient should be in risk of the potential hazard to the fetus. 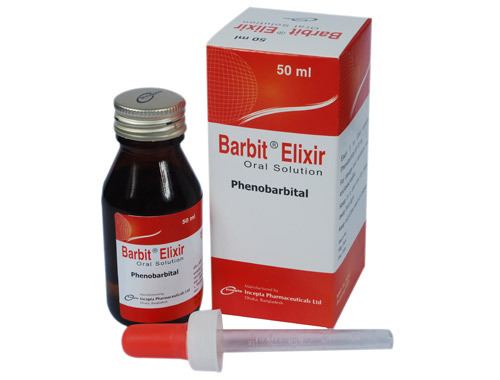 Caution should be taken when Phenobarbital is administered to a nursing woman since small amounts of Phenobarbital are excreted in the milk.